What Type Of Solar Power Inverter Is Right For You? You Are Here: Home / SOLAR NEWS: Our Blog / Uncategorized / What Type Of Solar Power Inverter Is Right For You? A Solar Power inverter is one of the most important components of any solar panel system. Actually the inverter converts the Direct Current (DC) and enables photovoltaic solar cells to turn into Alternating Current (AC). All of the electronics devices and electronic grid run on alternating current, so it is the most important to any solar panel system to generate alternating current by an effective inverter. It is seen that a very few amount of solar energy products are able to deliver DC power directly into devices, as a results a majority number of solar arrays and other units really need a solar power inverter to transfer the power into electronic grid. There are three different types of solar power inverters available in the market. Each of them deliver different functions and are used at different type of solar power system, Although all inverters basic function is convert DC into AC. This inverter is also known as backup battery inverter and it is used in a multifunction solar panel system. Generally in this system the DC generated by the solar panels and first sent them directly to a battery. When the electricity is required them the stored energies from the battery sent to an inverter as a altering current. When the batteries become fully charged then excess amount of DC electricity send into the local power grid by an inverter directly. Due to having all of the benefits of the others this inverter is expensive than others. Actually this will allow you to produce, store and consume any kinds of electricity. It’s also maximize energy production at your solar panel system and the excessive energy sent to the grid to generate more profit. It will enable you to ensure electricity even when the total function system is not working properly. It will give you some extra advantages such as free from power outages, producing electricity as long as the batteries become fully charged and so on. This inverter are used for only off-grid solar arrays. Naturally it generates direct energy and stored in rechargeable batteries. It is also convert DC to AC for using the energy. Actually smaller stand alone inverters are needed for charging car batteries, water pumps, laptops and cell phones etc. Absence of local power grid, this inverter is urgently needed. Due to using this inverter, the system will become independent completely from power grid, unaffected from power outages, enable to consume electricity whenever you wish, enable arrays to produce electricity. At the time of running larger equipment by this inverter you should need to purchase a surge compliant inverter. This is really necessary for residential and commercial purposes specially to off-grid inverter have the capabilities, in spite of that you should need to check before purchasing. This types of inverters are used in grid tie solar systems, where solar array is directly connected with local power grid. Due to not having much batteries this is cheaper than any other inverter of system grid. It is mostly seen in urban areas. Here DC also connected with AC to generate electricity. In this solar system, you should need to make wired solar unit with grid via a electricity meter to receive credit from any power company for any amount produced. This system is perfectly suited for smaller scale solar arrays and there offer no protection due to power outages and not having proper battery backup. To get rid from power outage every grid tie systems need to have anti-islanding protection system added with solar energy inverter. It you don’t have this types of inverter then sent very poor performance at the time of power outages. Normally this energy would stay in the local power grid and referred to an island. Before purchasing a used grid tie inverter try to check the anti-islanding protection system is working in this inverter, without grid tie solar system it would become so risky to get this. 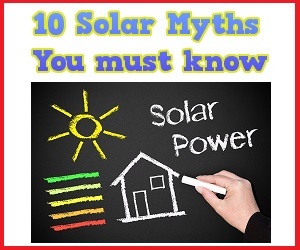 Always try to make sure that your are purchasing right inverter for your solar system.